The CIGAR BORE is an invention that comes from serial entrepreneur and master tinker, James DeGraw. Jim fused his love for a good cigar and his passion of American guns to create the ultimate cigar punch. To understand the dedication, process, and vision to create this one-of-a-kind cigar cutter click below or scroll down to read more. 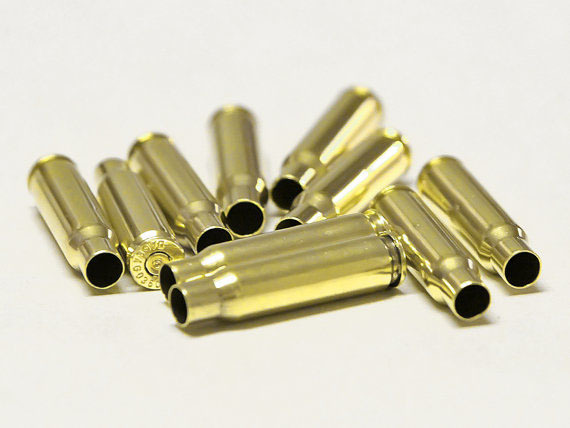 The CIGAR BORE is made with an authentic .223/5.56 brass shell casing manufactured right here in the United States. The shell is the most important part of CIGAR BORE as it bears the three main features. First, the bullet end of the shell is sharpened to easily cut a cigar with a ring gauge of 40 – 48. Second, it provides the housing for the internal mechanism to discharge the tobacco after it has been cut. Finally, the shell displays our unique logo printed directly on the casing for a clean finish that’s built to last. For those of you who like to smoke Robustos, Double Robustos, Churchills, or anything else with a 50+ ring gauge, we bring you the .308/7.62 CIGAR BORE. 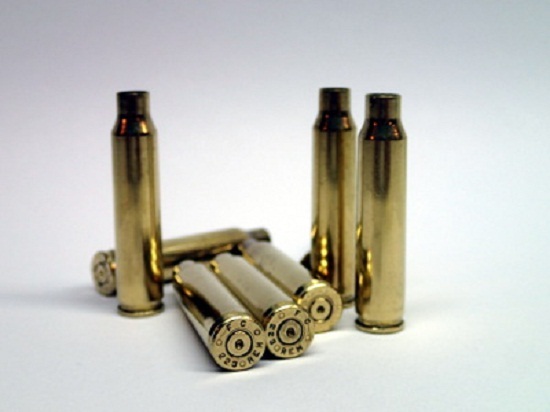 With all the features of the original .223/5.56 shell casing, just bigger! You will experience the perfect punch which will provide you with a smooth drag and clean burn. The AR-15/M16 firing pin was the missing piece to Jim’s original concept and what truly separates CIGAR BORE from the competition. It does this by accomplishing two very important tasks: ejecting the tobacco and attaching to your keys. 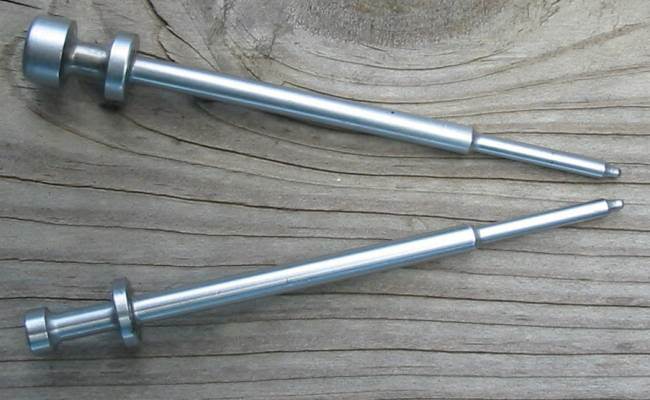 We replicated the AR-15/M16 firing pin to solve the issue we had with other cigar punches we tried, the tobacco always remained behind after use. 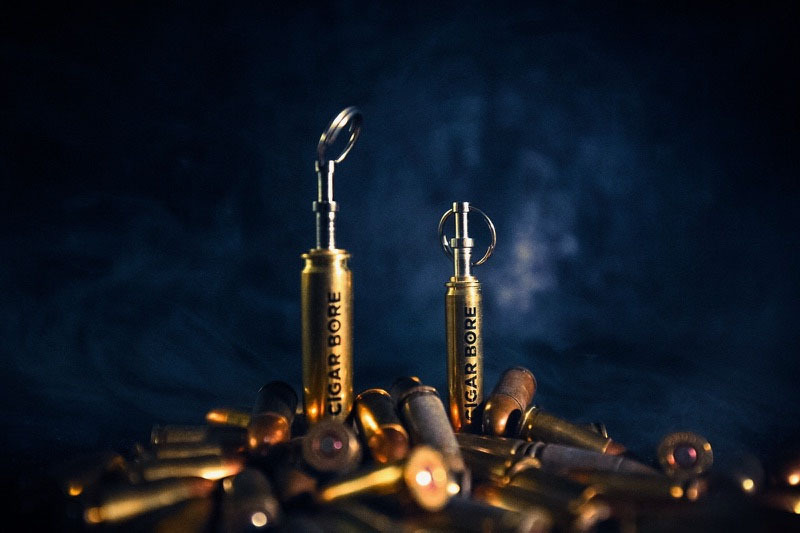 CIGAR BORE’s “popper” will completely expel any and all tobacco that is left behind. The second issue we set out to solve was never having a cigar cutter or cigar punch when we needed it. We want you to own your CIGAR BORE forever so we attached a key ring. Starting in Jim’s garage the first CIGAR BORE was born. It was of utmost importance to make sure the manufacturer that we partnered with was based here in the United States. After a painstakingly hard search we have partnered with a military veteran, family-owned manufacturer based right here in our home state of New Jersey. They have shown us the attention to detail needed to receive a quality product that is only provided when it is MADE IN AMERICA! 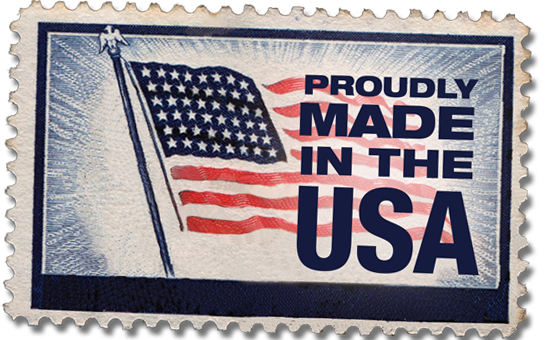 We are very proud to stay true to our roots and provide jobs for Americans. If you have any questions regarding our product, please contact our team. For further information on wholesale purchases, please click here.